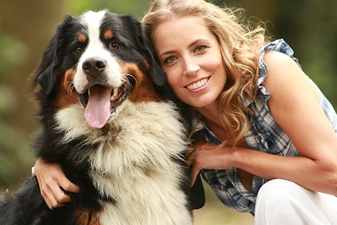 Our Dog Walking Services are a great option for busy pet parents and their pups. Our clients schedules are often very busy. We understand. If you’re unable to get your dog out as often as you would like or as often as they need, we are here to help. We set them up on a reoccurring monthly schedule so that they have a break during the day Monday thru Friday. We provide private leashed walks in your neighborhood with one of our professional dog walkers. Walks are approximately 25- 30 minutes and if this is too much for your aging dog, we will shorten the walk and spend some time with them in their yard or home. We will also work with your dog on proper leash walking “Etiquette” using all the skills they learned at training. Monday thru Friday dog walks are a great option for most dogs. Our walks are scheduled between 11am to 3pm Monday thru Friday. Rates vary depending on number of dogs and frequency of walks. Reoccurring monthly scheduled walks receive a discount.